Every self-respecting car enthusiast has a dream vehicle. Mine is the 1967 Chevy Impala. But not just any Impala; I’m talking the SS model that came with the limited edition “Turbo Jet” 427 motor and Z24 chrome-plated intakes built right into the hood. My dream Impala makes old ladies in Buicks lock their doors when I roll up at stop lights and prompts less than savory characters to ask how many bodies I can fit in the trunk. I get hot just thinking about it. But that’s not the car I drive. 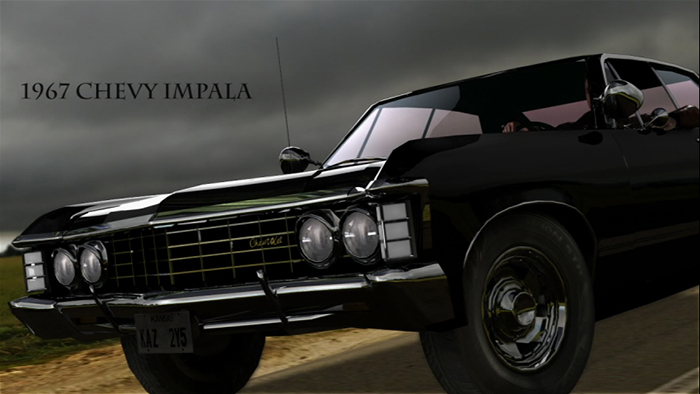 What I drive is a 1968 Chevy Impala coupe with a stock 307 motor and four speed automatic transmission. A car, that if it weren’t for its more successful and popular older brother, would be considered totally awesome in its own right. A car that reminds me of Frank Stallone. Do you think a person has more to gain by stepping out of the shadows of what is popular or should they conform in order to fit into the light at all? I ask because recently THE CANARY REVIEW invited me to write a guest post for their “Best and Worst read” series. While my choice for best read was a breeze my choice for worst read nearly gave me a panic attack (let’s just say I voiced some disparaging remarks about a certain beloved protagonist). I absolutely agonized over whether or not to give my true opinion and risk inciting the wrath of literary minds greater than my own, so much so that I went as far as writing two separate guest posts. In the end I stepped out of the shadows, hit send and Frank Stalloned all over the place. So stop by THE CANARY REVIEW this Wednesday and comment on whether or not you think I made the right decision. In the meantime enjoy the other Italian Stallion. This entry was posted on September 11, 2011 by H.E. ELLIS. It was filed under Books, Humor, Music, The Gods of Asphalt and was tagged with blogs, cars, Humor, novel, Reviews, writing. Interesting post. You have a much more well-developed blog than mine. Good work. I don’t know about that. Your bit about your wallet being, “flatter than a left-over night of pleasure” cracked me up! Frank was talented but he could never be taken seriously. People think Sylvester helped him get to where he was, but maybe he would have had a respectable career without living in his brother’s shadow. I love this post. I’ll answer your conformity question with my favorite dream car…the 1970 Plymouth Superbird. The lime green one. Be true to oneself! Gotta love a hemi. The Superbird is a very, very close second for me. A third would be a 1970 Dodge Charger. Or a 1969 El Camino.